Former Manchester United manager Jose Mourinho has dropped a hint over his next job amid links with big clubs like Paris Saint-Germain and Bayern Munich. The Portuguese tactician remains out of work since leaving Old Trafford back in December, and it remains to be seen if another big name will end up gambling on him after such a disastrous spell with the Red Devils. Mourinho has long been one of the finest managers in the world, winning a host of major honours with Porto, Chelsea, Inter Milan and Real Madrid, but things ended badly for him in each of his last three jobs. Foot Mercato recently linked him with Bayern Munich, while the Daily Record have linked him tentatively with PSG, though hinting the interest there is more from him in the club than the club in him. 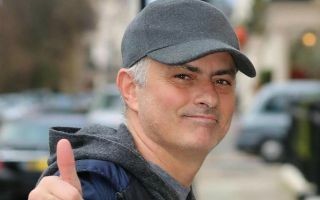 Still, when asked about a possible move to the Bundesliga next, Mourinho was quoted by Portuguese outlet Record as sounding interested due to having not worked in Germany before. Where next for Jose Mourinho as Bayern Munich and PSG are linked? “It’s a country I’ve never trained in. Why not? Let’s see …” he said. It’s also true that he hasn’t had a job in France either, so that perhaps suggests the 56-year-old would like a new league as part of a fresh challenge for the next stage of his career.